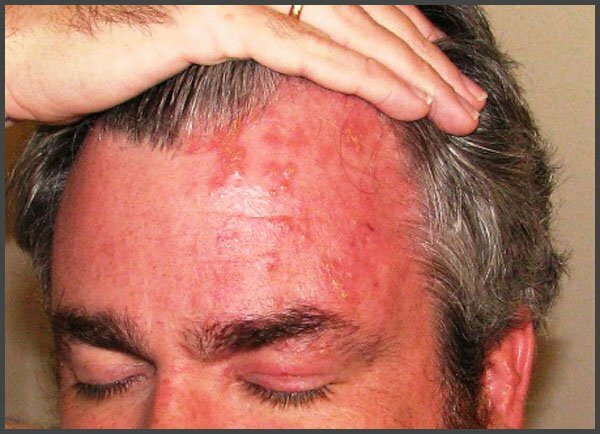 A relatively rare localization of the disease is shingles on the forehead. Not only does the patients’ emotional state worsen because of the loss of attractiveness but they also suffer from severe itching. The skin becomes inflamed, on account of which the risk of secondary infection is high. 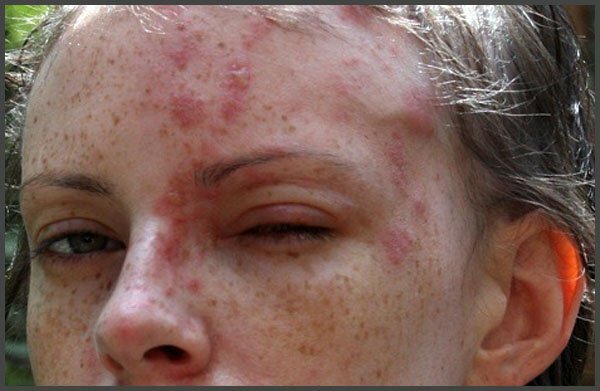 The emergence of rash on the face like in the picture, including the forehead, in most cases requires medical treatment. Self-medication can lead to complications.